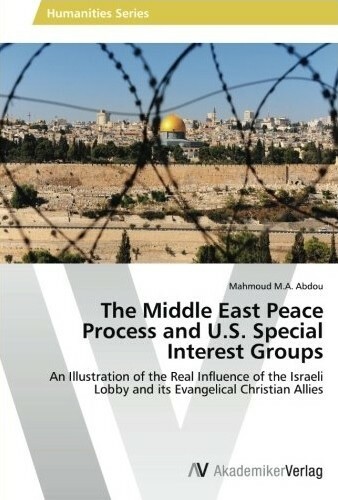 In this post, Mahmoud Abdou presents a summary of his book The Middle East Peace Process and U.S. Special Interest Groups. The Middle East Peace Process and U.S. Special Interest Groups is meant as a contribution towards resolving the puzzle regarding the actual clout of pro-Israel U.S. special interest groups by studying their influence on the Middle East Peace Process. The author builds on his first-hand experience of living in Palestine and the U.S, and analytical tools he has acquired while studying the role of the United Nations in the Israeli-Palestinian conflict as well as U.S. history, politics and society. The study combines a qualitative analysis of U.S. official policies toward the Peace Process from 1991-2011, with a quantitative investigation into the Peace Process-related activities of pro-Israel U.S. special interest groups. 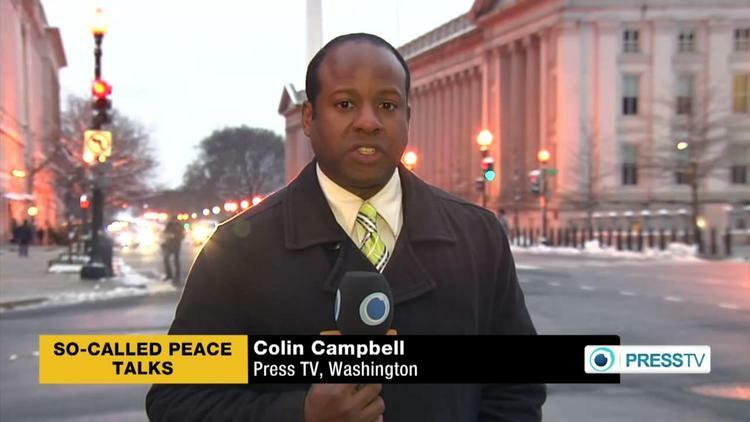 The quantitative data was collected from public opinion polls, the Congressional Record, government documents, the reports of the Federal Election Commission, and the monthly publications of the non-partisan Washington Report on Middle East Affairs from 1989-2011. The qualitative data is based on experts’ and scholarly reflections on the Peace Process itself and on the influence of special interest groups on the making of U.S. foreign policy. The book carefully follows the progress of the Peace Process from 1991-2011. For the last twenty years of U.S.-led peace negotiations, the alliance between the Israeli lobby and the evangelical Christian U.S. interest groups has ensured, by i.e. bloc voting and making campaign contributions, that only those U.S. politicians with unconditionally pro-Israel agenda are elected, which has made it difficult for the U.S. to be the mutual facilitator of the Peace Process. From advocating for the passage of resolutions in Congress that criticise and punish the Palestinians to directly funding Israeli settlement projects in the West Bank, those U.S. special interest groups have also undermined the two-state solution and marginalised the Palestinians’ rights. Additionally, external factors such as the 9/11 attacks were used as a tool by those special interest groups to link Israeli policies to put-down the second Palestinian intifada to the broader U.S. “War on Terror.” Not only did that give legitimacy to the Israeli occupation of Palestinian land, but it has also undermined the efforts of particularly the Bush administration to mediate between the Israelis and the Palestinians. The findings of this research indicate that the goal of Israel since the beginning of the Peace Process has been to give the Palestinians an entity rather than a state; an entity that manages the civilian affairs of the Palestinian population, while being militarily controlled by Israel. As former Prime Minister Yitzhak Rabin explained in an interview with Israeli TV reporter Nasim Mish’al on Sept. 6, 1995: “‘There is an ideological conflict between Greater Israel and a Jewish state that does not want to rule over another people, which means an agreement to create a Palestinian entity,’ according to Rabin, would lead to ‘something less than a state’ that lives in peace with Israel.” U.S. interest groups’ support of such Israeli policies has made the U.S.-led Middle East Peace Process fail to reach the objective of a two-state resolution. As a result, the Palestinian Authority decided to apply for full membership of Palestine at the U.N. General Assembly meeting of September, 2011, based on the U.N. Security Council Resolution 242 (1967 borders) and the UN Partition Plan. The Middle East Peace Process has been an attempt to resolve the Israeli-Palestinian Conflict outside the chambers of the U.N. During the past twenty years of peace efforts, the U.S. has often vetoed the passage of UNSC resolutions that are critical of Israel or that attempt to enforce previous U.N. measures that offer an international consensus on how the conflict should be resolved. By taking the leadership role in mediating between Israel and Palestine, the U.S. has left the U.N. out of the equation for a peace formula; however, the Palestinians’ U.N. application (2011) has brought the question of Palestine back to the international community to resolve. The book concludes by pointing out that the U.S. loss of credibility in mediating between Israel and Palestine has made it become but one party in the international Quartet (U.S., E.U., Russia and U.N.) that is working on bringing the two sides of the conflict together. With the E.U.’s particular increase of influence in international affairs and the upgrade of the status of Palestine at the U.N., the United States’ role in facilitating the Israeli-Palestinian negotiations during the following few years will only be passive. Instruments such as cutting or threatening to cut U.S. aid to Israel if the latter does not withdraw back to the 1967 borders of Gaza Strip and the West Bank were never contemplated by U.S. decision makers; and therefore are not expected to be implemented. 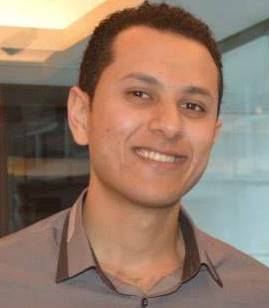 Originally from Palestine; Mahmoud Abdou has spent his life between Saudi Arabia, Norway, the United States, Germany, Costa Rica and the UK. 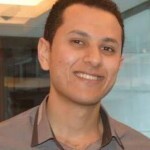 He is currently pursuing his Master’s degree in International Relations at LSE. He holds a BA in Political Science from Middlebury College in Vermont, an MA in American Studies from Heidelberg University and an MA in International Law and the Settlement of Disputes from the UN University for Peace in Costa Rica. His publications also include an article on “Palestine and the International Criminal Court” and an article on “Disunity in Palestine: Its History and Implications for the Peace Process;” both published via the Peace and Conflict Monitor.